“It’s been a whirlwind,” says Ellen Reid, the LA- and Brooklyn-based composer of classical, electronic, and film music, when asked about her soaring season. In 2018, only two composers are being played by all four of LA’s major musical institutions: Wolfgang Amadeus Mozart and Ellen Reid. The Los Angeles Philharmonic not only premiered the immersive sound installation Oscillations 100 years and Forever (October) but commissioned a second work before the end of the season. A 40-minute choral work, dreams of the new world, was premiered by the LA Master Chorale (May) and Petrichor, a “spacialized” piece, had its premiere with the LA Chamber Orchestra (February). Reid’s latest opera-theatre work, p r i s m, opens at LA Opera in November 2018 and takes its rolling premiere to New York City’s PROTOTYPE: Opera/Theatre/Now Festival in January 2019. Whirlwind, indeed. Reid has an insatiable love of sound that has taken her all over the globe. She lived in Thailand and collaborated with Thai artists for several years, creating pieces for the United Nations and the Patravadi Theater. She wrote music for Buster’s Mal Heart (starring Rami Malek, directed by Sarah Adina Smith) that had its world premiere in the Toronto Film Festival. In the United States, she maintains a bicoastal career and has been listed as one of Musical Americas 30 Professionals of the Year in 2016 for her work with Luna Composition Lab, a mentorship program for young self-identified female, non-binary, and gender non-conforming composers she co-founded with Missy Mazzoli. Reid never dreamt before college that writing music could be a viable career path; her Oak Ridge, Tennessee hometown was created as part of the Manhattan Project and prioritized advanced math and science over music in its education. Reid determined to build a wider road for female composers of the future. 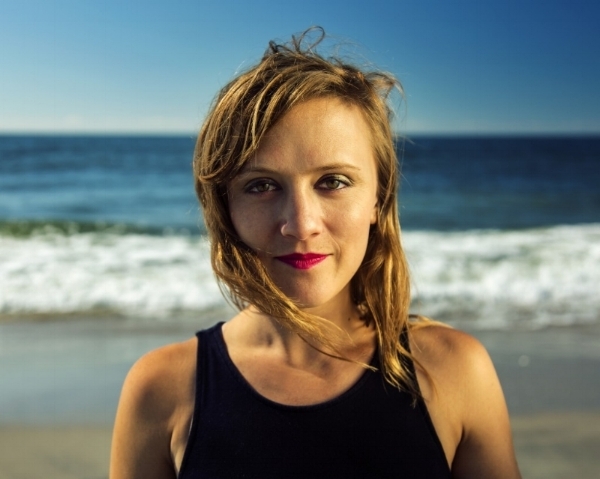 In March 2019 Tennessee’s annual Big Ears Festival features Reid’s music performed by the International Contemporary Ensemble (ICE) and in April 2019 she is an artist-in-residence and a curator of Opera Omaha’s second annual ONE Festival, for which she’ll create a new site-specific installation as well as collaborate with Zachary Drucker, producer of Transparent, on a new work. Reid’s piece, Fear-Release, is featured on Los Angeles Percussion Quartet’s GRAMMY-nominated recording, Beyond, which was listed in NPR’s Top 10 Classical Albums of 2017. Her music has been described as “an endlessly unrolling scroll,” and considering the increasing demand for her “luxurious sound environments,” the description is just as apt for Reid’s next season.